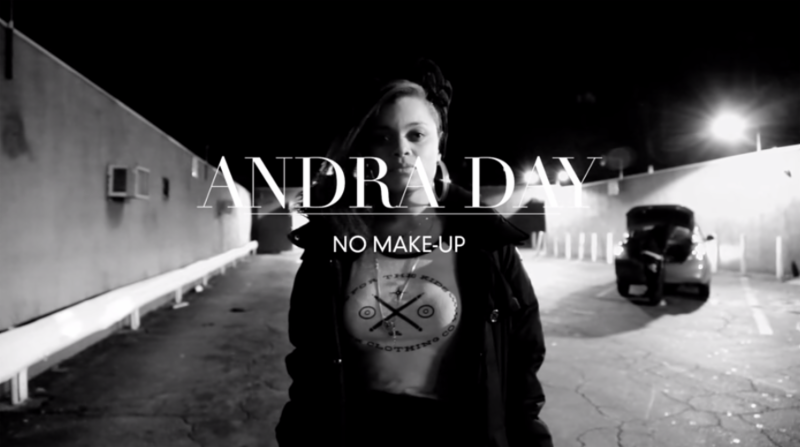 After a breakthrough year, Grammy-nominated Andra Day revisits the covers that kicked off her career in the standout from Kendrick Lamar‘s debut studio album Section.80, “No Make-Up (Her Vice).” In the good luck gesture for Compton rapper and fellow nominee, the American soul singer “delivers a soulful cover saturated in jazz influences that Kendrick would certainly appreciate” and even manages to slip in Lil Kim’s“Crush On You” via Complex. Hailing from San Diego, Day was recently nominated for two Grammys for Best R&B Album for her debut Cheers To The Fall and Best R&B Performance for her stand out single “Rise Up“. The single’s reception has landed her on such shows as The Late Show with Stephen Colbert ,CBSSaturday Morning, the BET Awards, ESSENCE Music Festival, Special Olympics, Good Morning America, Jimmy Kimmel Live!, Live! with Kelly & Michael, The Wendy Williams Show, CNN Heroes, Shining a Light: A Concert for Progress on Race in America, the Macy’s Thanksgiving Parade and the National Christmas Tree Lighting. After touring with Lenny Kravitz earlier this year and embarking on her first headlining tour, Andra Day will set out on a 16-city North American tour kicking of on Monday February 29th in San Francisco and ending in Los Angeles on Wednesday March 30th. Tickets and more information are available at https://www.citiprivatepass.com/landing/andra_day.html.